How many people that you know pay for cable and actually use it to the full extent? Most of us use the internet to watch things on YouTube, Netflix, Hulu, and Crunchyroll (don’t lie to yourself). Of course, this means we usually have to watch on our laptops. If you want to stream things onto your TV, then you’re going to need a way to do that quickly and easily, and without losing any quality if at all possible. 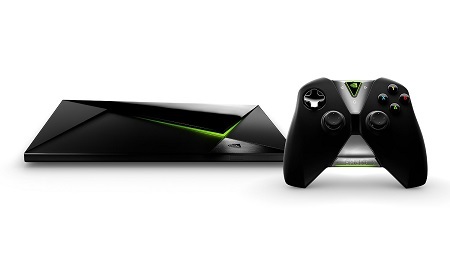 The Nvidia Shield Pro is an Android TV box that will let you stream games as well as your favorite shows and movies in 4K Ultra HD or 1080p at up to 60fps. If you would prefer to hoard some media, there is also 500GB for you to utilize, but the liklihood is that you’re not going to get through every show or game you have saved. This uses the NVIDIA Tegra X1 processor, which is said to make this perform 25 times better than other popular streaming devices. This also has a MicroSD and two 3.0 USB ports, and while it doesn’t come with a remote, it’s not a bad extra purchase, albeit a pricey add-on at $49.99. Chromecast is built-in, so iOS or Android games from your phone can be streamed onto your TV. You’ll also be able to use voice search and commands to make it easy to find what you’re looking for without much hassle. It’s likely in your interests to hook up a Bluetooth keyboard with this and get a stand so you can keep the box where you like, but that’s only going to add on top of the $360+ you’ll be spending on this setup.